The IDF said on Thursday that its forces have uncovered a second Hezbollah cross-border attack tunnel and have requested that U.N. peacekeeping forces (UNIFIL) destroy it. The news comes a day after the Israeli military announced it had destroyed a similar tunnel on the border, which it said had caused a severe blow to the terror group, which had invested heavily in it and planned to use it in an aggressive action to start a war. 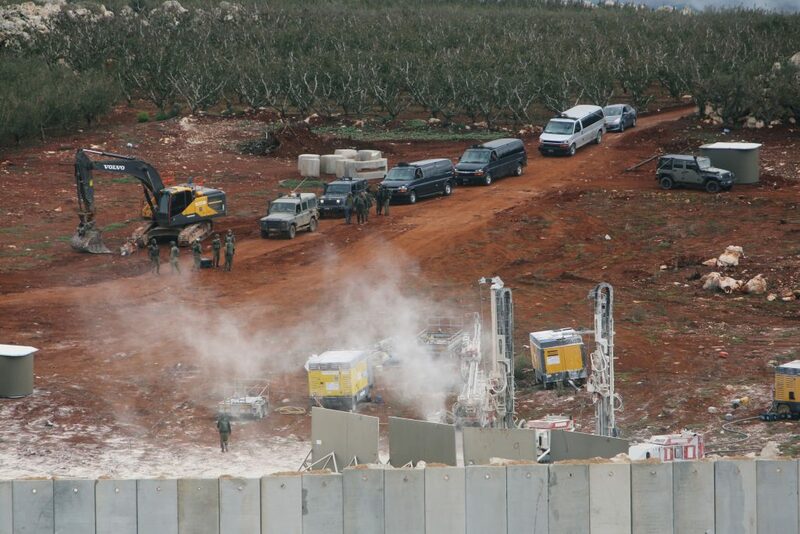 The tunnel originated in the Lebanese village of Ramyeh underneath a number of homes and crossed into Israeli territory near the village of Zarit in the Upper Galil, according to the IDF. “The tunnel from Ramia that crosses into Israel does not constitute an immediate threat,” the army said. IDF spokesperson Lt. Col. Jonathan Conricus said the army furnished UNIFIL’s commander with a map and intelligence about the Ramyeh tunnel when he visited Israel today for consultations on the border situation. IDF Northern Command chief Maj. Gen. Yoel Strick also filed a formal complaint about what he called Hezbollah’s violation of U.N. Resolution 1701, which ended the 2006 Second Lebanon War and called for armed groups besides the Lebanese military to remain north of the country’s Litani River.